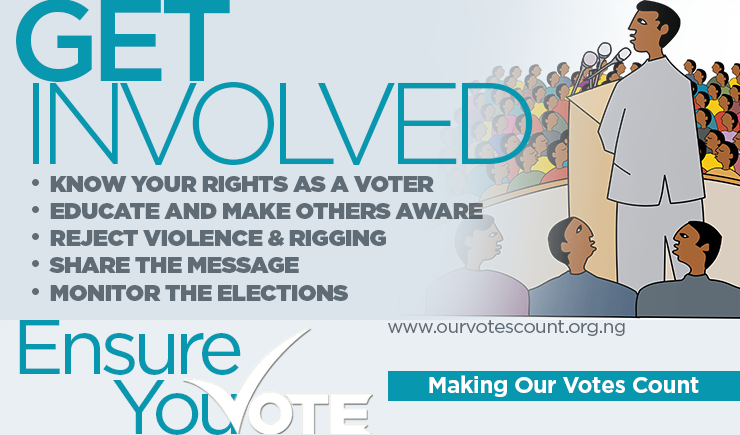 Ensuring #OurVotesCount Beyond Campaign Promises! It is in the citizens’ power, and their power alone, to decide, through the ballot, the quality of leaders that will emerge. 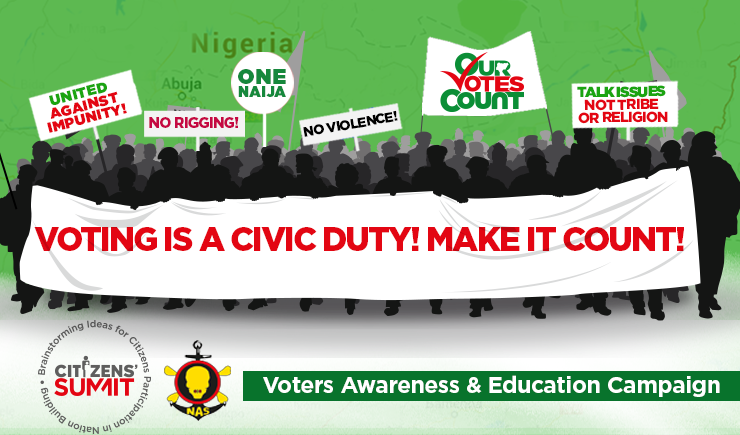 When the citizens’ vote, they empower themselves to hold the elected representatives accountable for the promises made. Be Aware. Be Alert. Show interest and remain inquisitive, as the price for freedom is eternal vigilance. 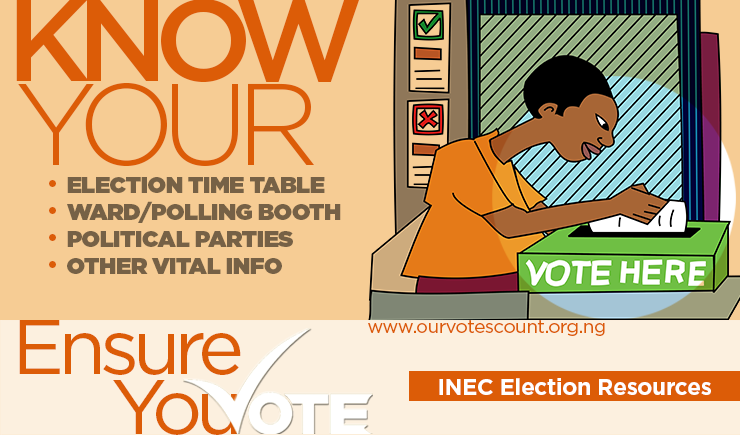 To ensure successful performance evaluation, the questions that must agitate our minds are, how involved are the electorate in governance? Have they been adequately consulted and integrated in policy formulation? If yes, to what extent? How have they shown interest and been involved in the implementation of decisions already taken? That power belongs to the people is a truism. The people must however understand the scale of this domiciled power in their votes. As such, it is of utmost importance that the electorate realizes the nature and scale of the rights their votes accord them and the accompanying responsibilities in exercising them legitimately in electing leaders of their choice. This is the essence of the 2018 Citizens’ Summit. 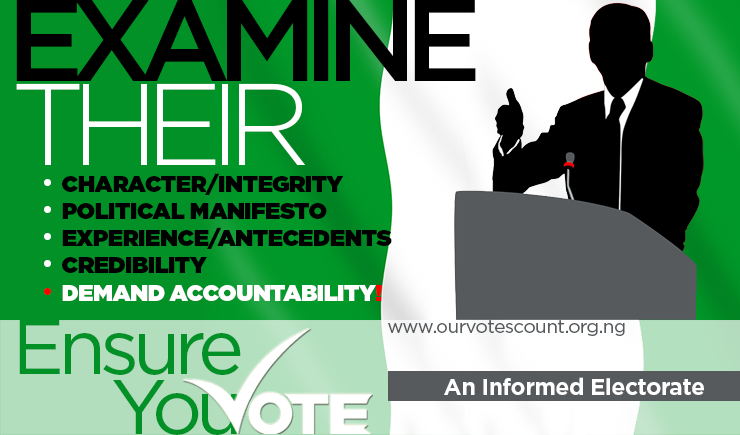 Join the efforts to hold elected officers to their electoral promises!